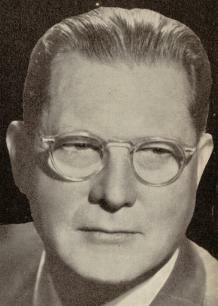 Erle Stanley Gardner was born in Malden, Massachusetts. He studied law while working at a law office. In 1911 he was admitted to the Californian bar. In 1912 he married Natalie Talbert. The marriage lasted until 1935 when the couple separated by mutual consent. In 1918, he returned to the legal profession in Ventura, California. A lawyer by day, he became a writer by night. Immediate success with his writing however was a long way off. His success came with the creation of 'Perry Mason' in 1933. From 1934 on, he produced two Perry Mason novels each year right up until his death. He also wrote under the pseudonyms 'A.A. Fair', 'Carleton Kendrake', and 'Charles J. Kenny'.